Keeping your vehicle and loved ones safe has never been so easy. 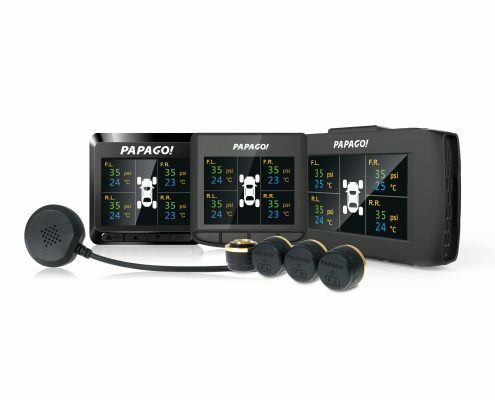 Now, with Papago’s new tire pressure monitoring system, the TireSafe D10E, all you have to do is take a quick glance at your dash cam to view all four of your tires’ pressures and temperatures. 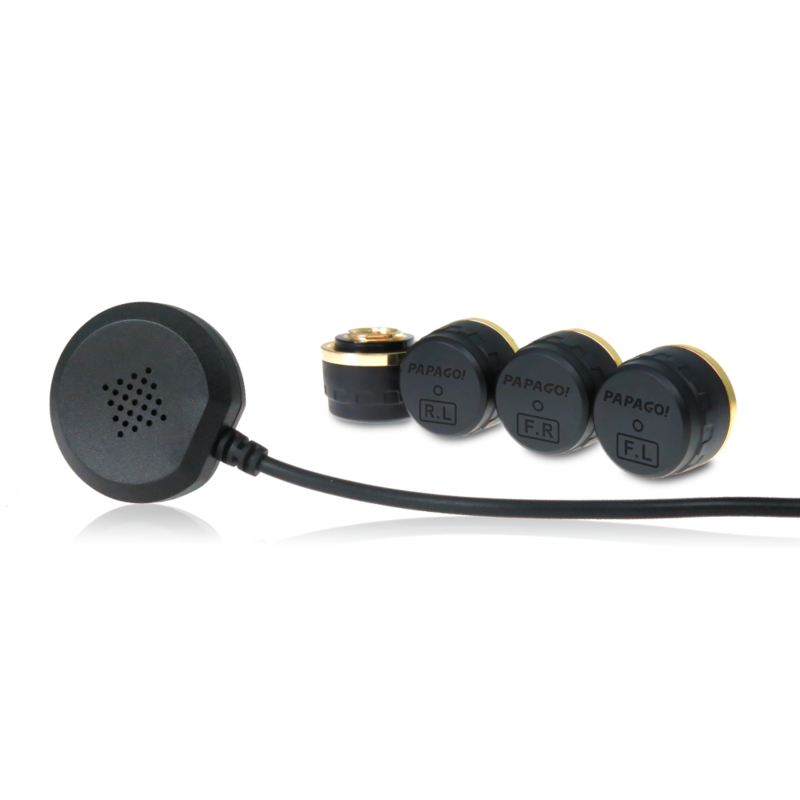 With its IPX7 waterproof rating, lightweight design, and RF wireless transmission technology, you won’t have to worry about a tedious installation. 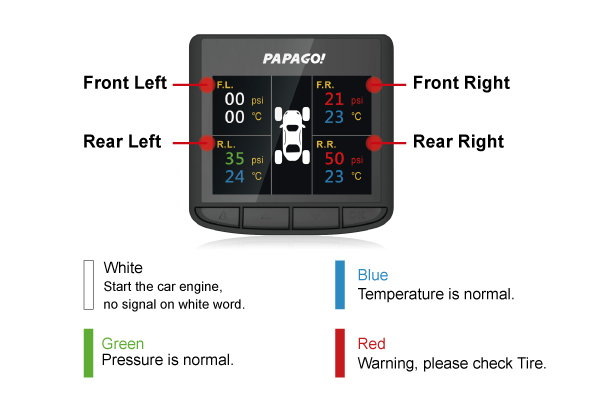 Just follow the simple instructions, start your car, and the sensors will automatically send the data to your display. 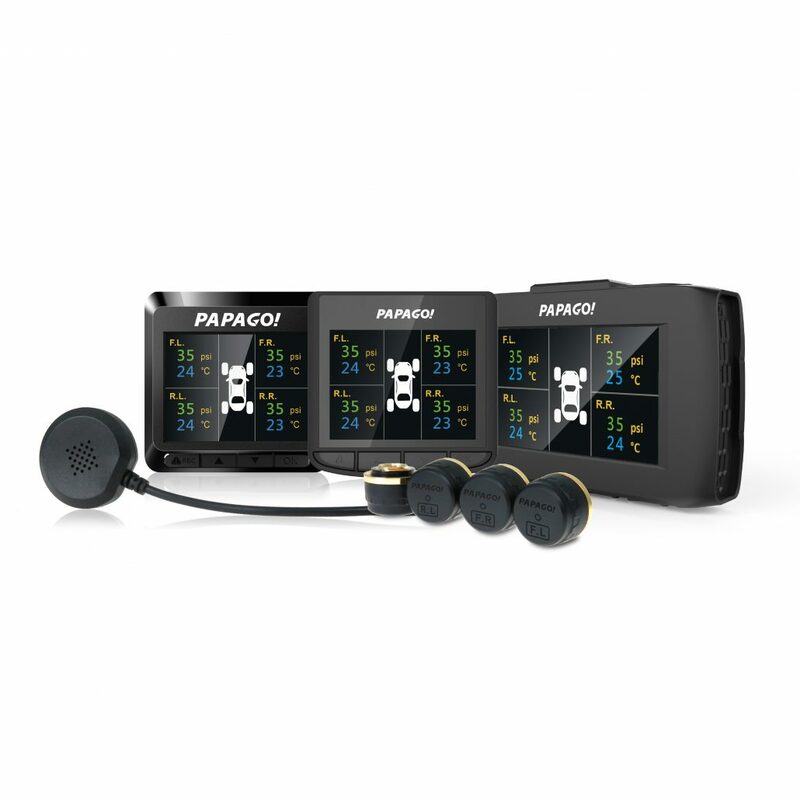 When the sensors detect that the pressure is too low or too high, or that the temperature is too high or too low, the display will alert you immediately. The TireSafe D10E is a device you can’t afford to not have. 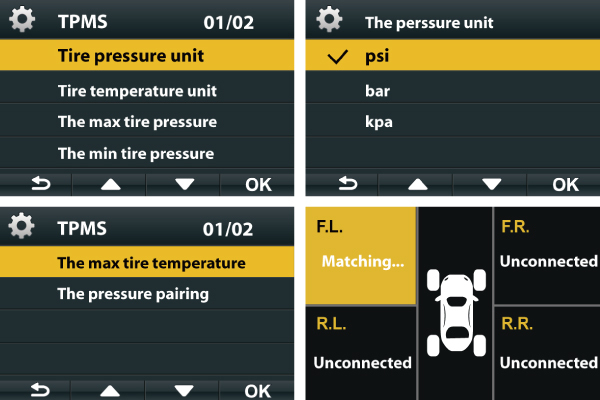 Easily view all four tires’ pressure and temperature at a glance and be alerted when any tire suffers from an abnormal reading. 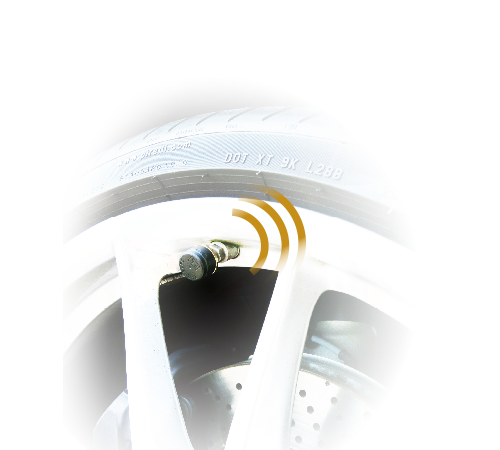 The TireSafe D10E is a perfect combination of TPMS and surveillance. All tire pressure values are displayed on the dash cam screen. 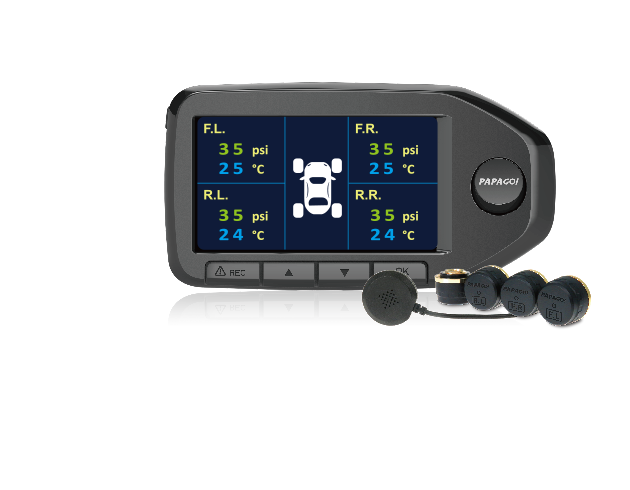 The TireSafe D10E is equipped with an external Tire Pressure Monitoring Support Kit to keep track of tire temperature and prevent tire breakout. 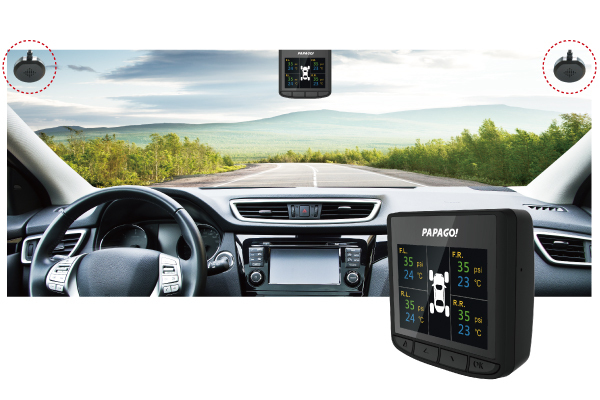 You can quickly adjust the display unit, set the alarm and value for tire pressure and temperature alerts. 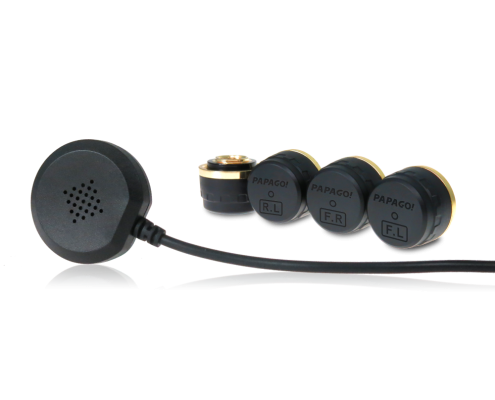 TireSafe D10E sensors have an IPX7 waterproof level, meaning it can withstand immersion in water depths equal to 1M place. It’s also designed to survive temperatures of -40 ℃ ~ 125 ℃, and it passed the real road test challenges, including downpours, so you can rest assured that you’ll have the best protection for your traffic safety. 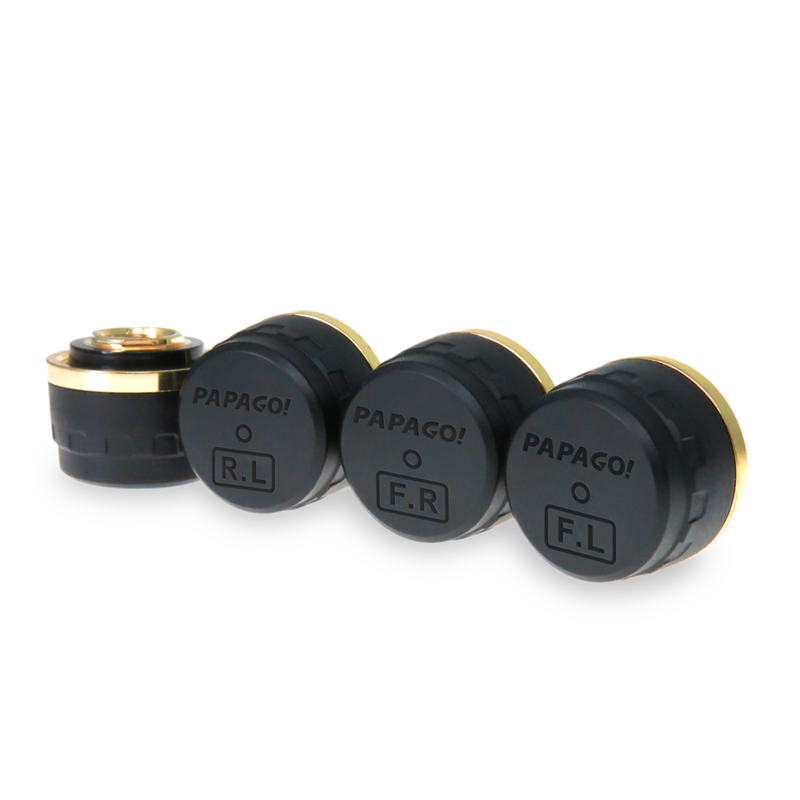 The TireSafe D10E detectors offer an ultra-lightweight design, only weighing 5.6 grams. 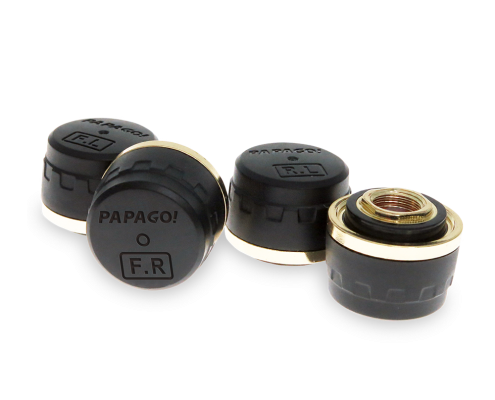 And thanks to RF wireless transmission technology, you won’t have to worry about complicated wiring. 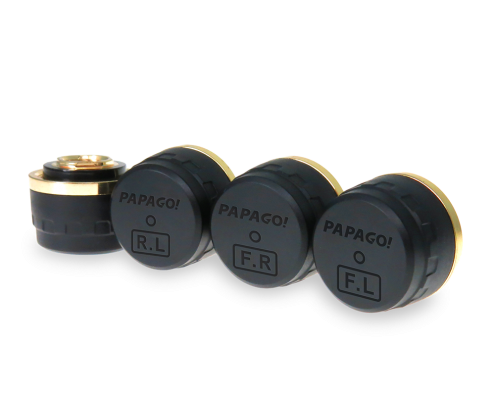 When the vehicle starts, the detector will automatically send tire pressure and temperature information to your display. 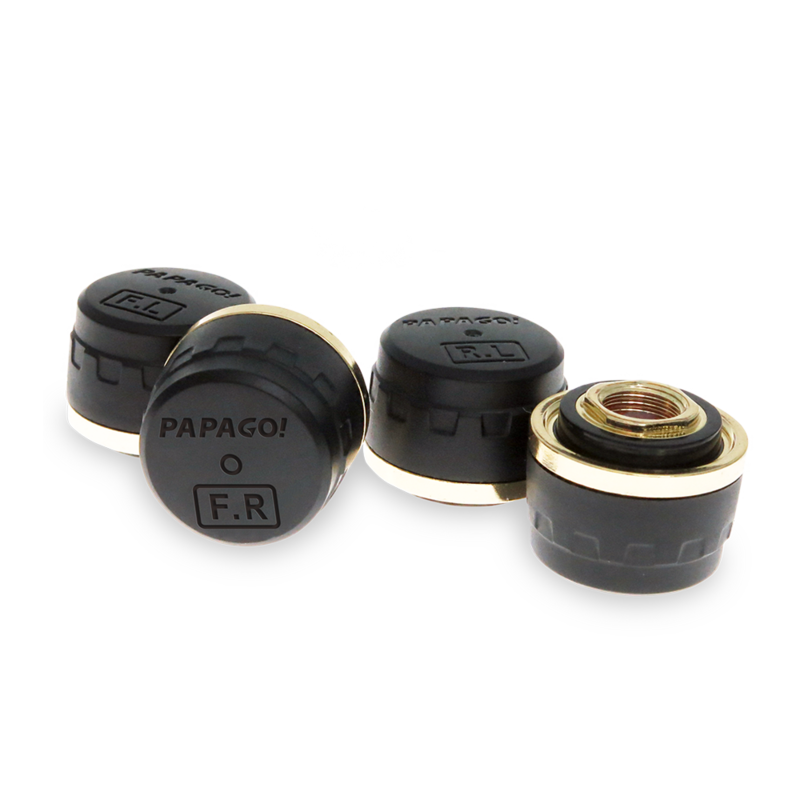 The TireSaf D10E TPMS is compatible with the new GoSafe 30G GPS Dash Cam and GoSafe 760 Dual Dash Cam, as well as with the classics GoSafe 388 and GoSafe S30.